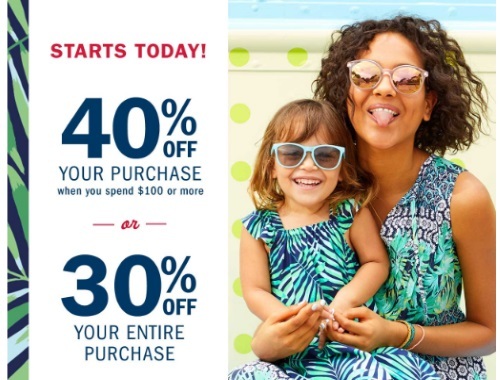 Old Navy is having a Thank You Event on now! Save 40% off when you spend $100 or more, or 30% off your entire purchase! Offer not valid on Today Only Deals online. Offer not valid on Clearance, Today Only Deals, Jewelry, Sunglasses and Register Lane Items in stores. Enter the promo code YOURTREAT at checkout. Offer is valid in-store and online until Sunday, May 14, 2017.